Hello everyone and welcome to Blogmas Day 8! 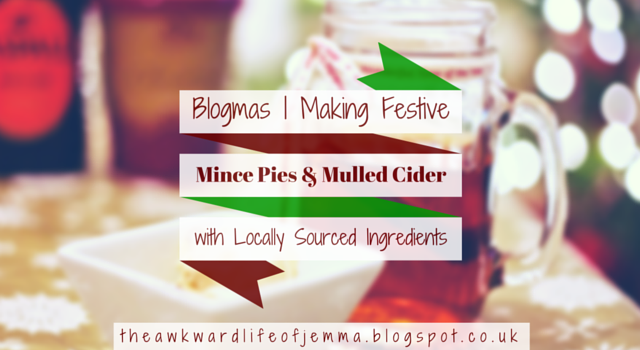 Today I am making some festive mince pies and mulled cider using locally sourced ingredients as much as possible. 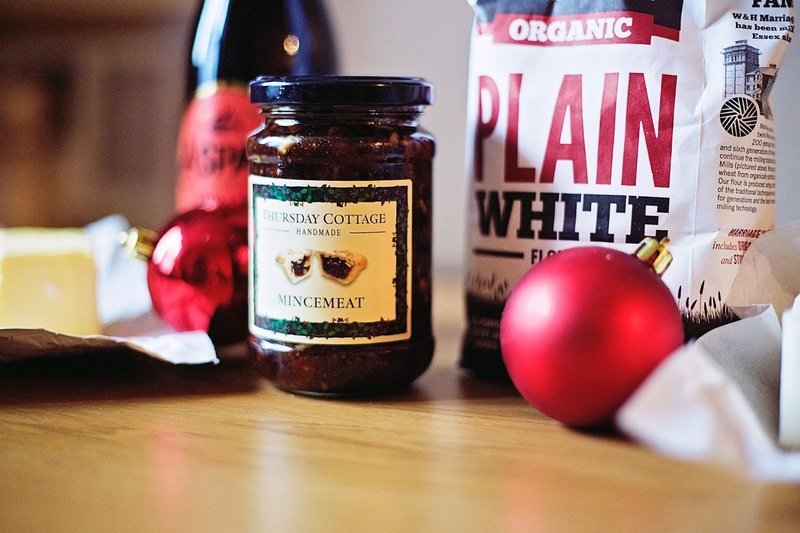 I've spoken before on this blog about supporting local farmers and producers and this Christmas there are so many different products available at the East of England Co-Op that show off what they do best. I thought I'd show you how easy it is to make these festive favourites and incorporate locally sourced ingredients at the same time. 150g Fat (I used 75g Butter and 75g White Fat but you can use all butter if you prefer,) chilled and cut into cubes. 1 Round cutter and a star shaped cutter, a rolling pin, mixing bowl and a 12 hole muffin tin. Make your shortcrust pastry by rubbing together the flour and fat with your fingertips. Once is resembles breadcrumbs add the water and stir with a knife until a dough starts to form. Next bring the dough together in a ball with your hands, cover with clingfilm and chill in the fridge for 30 minutes. Roll out your pastry to 3mm thick (about the thickness of a £1 coin). I rolled mine between two sheets of greaseproof paper to prevent it from sticking but you can also do it on a clean, floured surface. Grease a 12 hole muffin tin and then cut out 12 circles of pastry using your cutter. Place each circle of pastry into the tin making sure to press into the edges. Fill each pastry case with one heaped teaspoon of mincemeat filling. 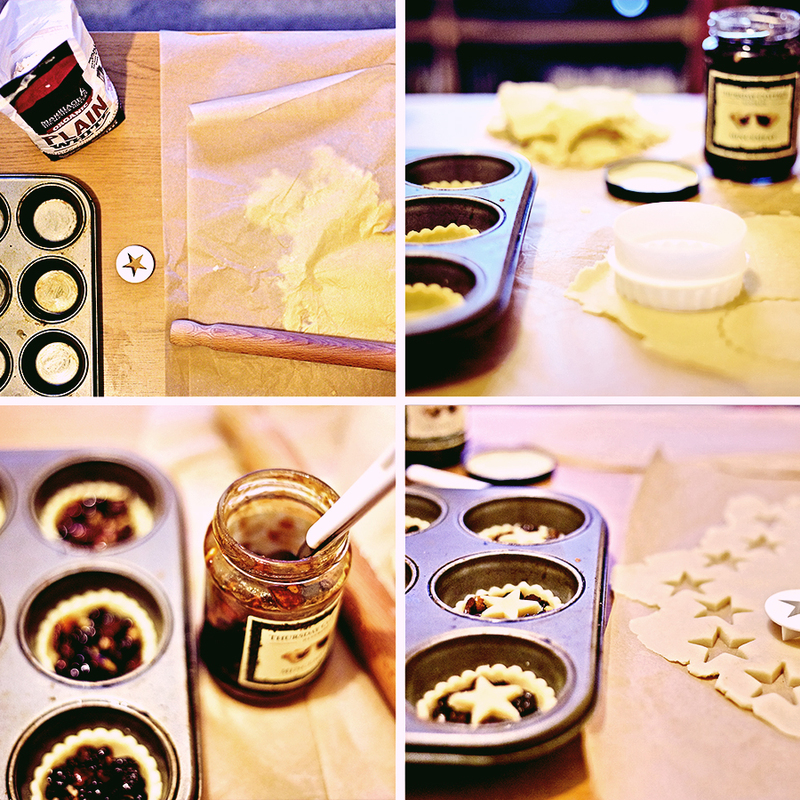 Use your remaining pastry to cut out 12 star shapes and then press these into the centre of your mince pies. Bake for 15 minutes in a preheated oven at 200ºC. Remove and allow to cool in the tin. Serve hot from the oven or warmed through with a small scoop of the Alder Tree Christmas Pudding ice cream. Heat the cider in a small saucepan over a medium heat for approx. 5-10 minutes until warmed through. Serve in mason jars with cinnamon sticks for stirring and oranges slices for garnish. 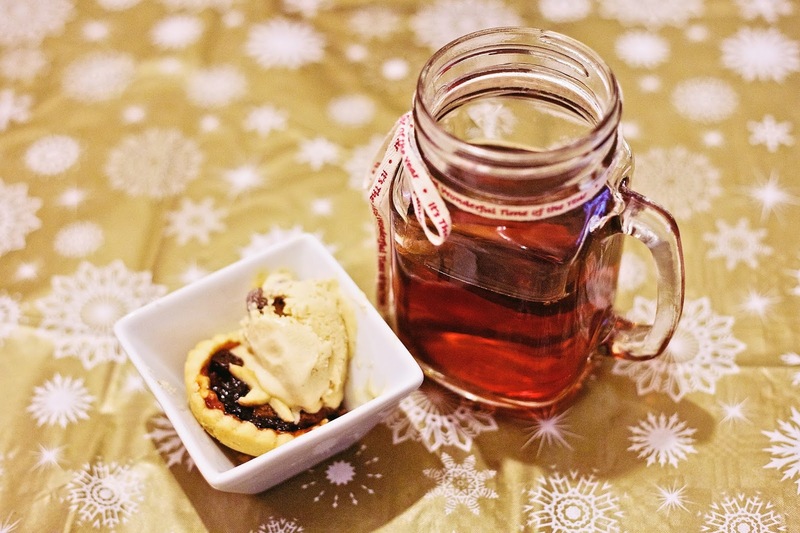 The cold ice cream makes a great contrast to the hot mince pies and is rich and full of festive flavour. With mince pies or Christmas pudding I'd only use a small scoop but with less fruity desserts, such as yule log, or even served on its own I'd use a bit more. The currant flavour from the handmade mincemeat comes through really well in the pies (it also smelled amazing as soon as I opened the jar) while the pastry is lovely and crumbly. 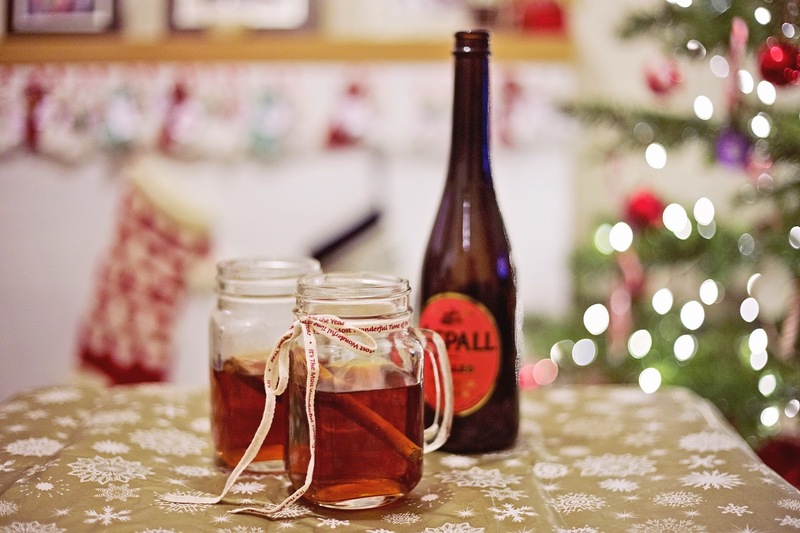 The mulled cider is sweet and warming with flavours of cinnamon, clove and ginger and serves as the perfect accompaniment to the mince pies. I made two glasses but I learnt a little goes a long way as the flavour is quite strong so I think you could easily serve it in smaller glasses to cater for more people! Overall these festive treats are so so easy to make and even tastier knowing where the ingredients come from. *I was compensated for these products in the form of a gift voucher but all opinions are my own, as always.